Dementia is the biggest health and social care crisis facing the world today. The rising numbers of people living with dementia in Gibraltar is a trend which is common across the world. It touches the lives of millions of people in the world and there are currently just over 400 diagnosed people living with dementia in Gibraltar (Sept 2016). This at the current trend is increasing on an average of 2 new patients identified each week. 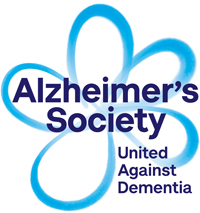 Dementia Friends was launched in Gibraltar in 2017 to change the way people THINK, ACT AND TALK about dementia and to tackle the stigma and lack of understanding that means many people with the condition experience loneliness and social exclusion. Dementia Friends is a global movement that is changing the way people living with dementia feel more understood and included in society. It is about learning more about dementia and the small ways we can help. You don’t need any previous experience or knowledge of dementia to become a Dementia Friend. We need to create a community that is dementia friendly so that people affected by dementia feel understood and included. Attend a face to face Information Session, Dementia Friends is about learning more about dementia and the small ways you can help. From telling friends about Dementia Friends to visiting someone you know living with dementia, every action counts. Dementia Friends Champions encourages people to learn a little bit more about dementia. Champions are trained and supported by to run Information Sessions and help inspire others to help those living with dementia live well. Support to all organisations and businesses from large to small, private or public and help them to roll out Dementia Friends to their workforce. Employers and employees to better understand dementia and wear their Dementia Friends badge with pride and feel they are able to support their customers and service users better.